Hi everyone. Sorry I have been away! I have been busy with a new job and things! All is well – I promise! I am so happy to come back with an awesome recipe test (along with some rad fellow bloggers). We each had to submit a vintage recipe – and were give one in return. One of my FAVORITE blogs Silverscreen Suppers got mine! Check it out! 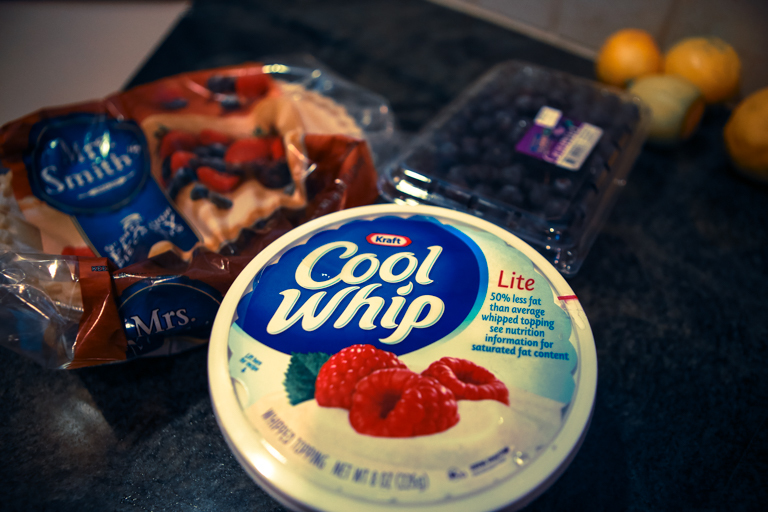 I gathered my ingredients and just replaced the whipping cream with cool whip – That’s fine, right? I am tired and will have to do. I also got a pre-made crust. God bless AMERICA! 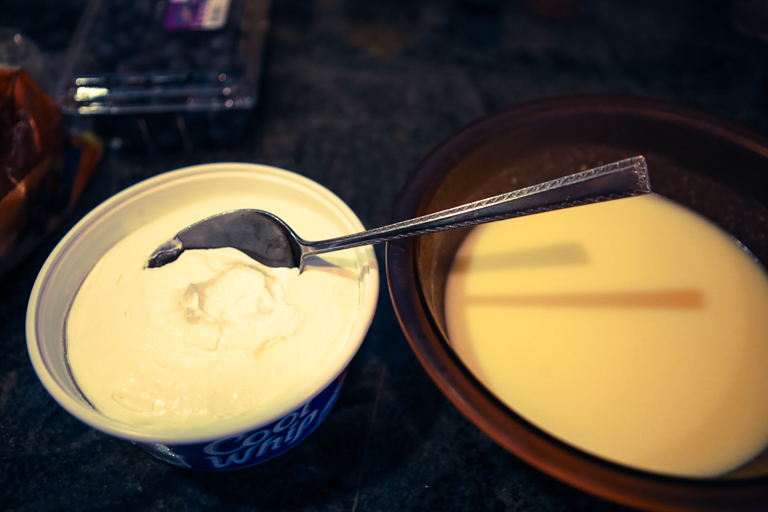 Make the jello instant pudding per recipe directions, you don’t use as much milk because you are going for a custard filling. 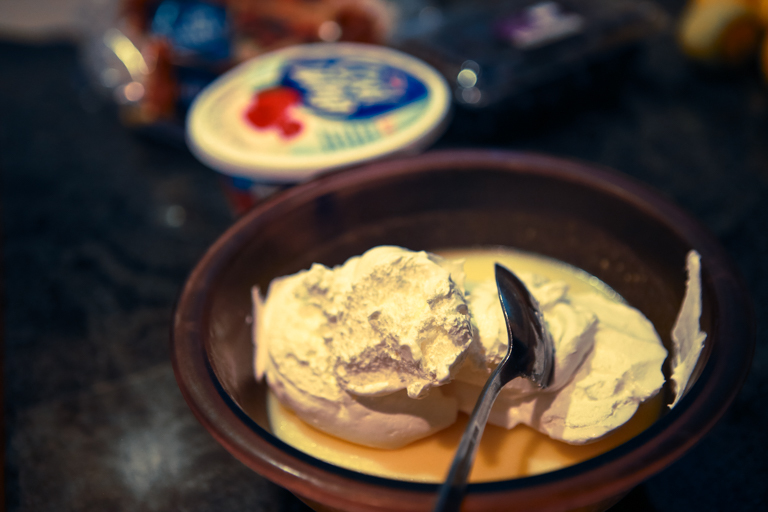 Then you fold in some whip cream – or in my case – COOL WHIP! You think that’s enough? I may need to test it! Then you make the pie filling. I used fresh berries because it is summertime here! Lemon zest always makes everything better! 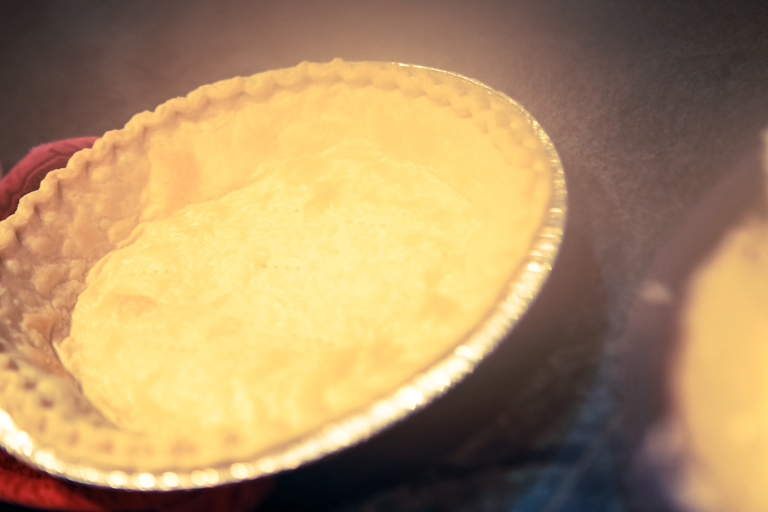 I pulled the pie crust from the over and the damn thing steamed up my lens! Put the filling in the crust! Just give me a spoon! Carefully (it’s hot!) pour the fruit filling on top! Place back in fridge to SET! 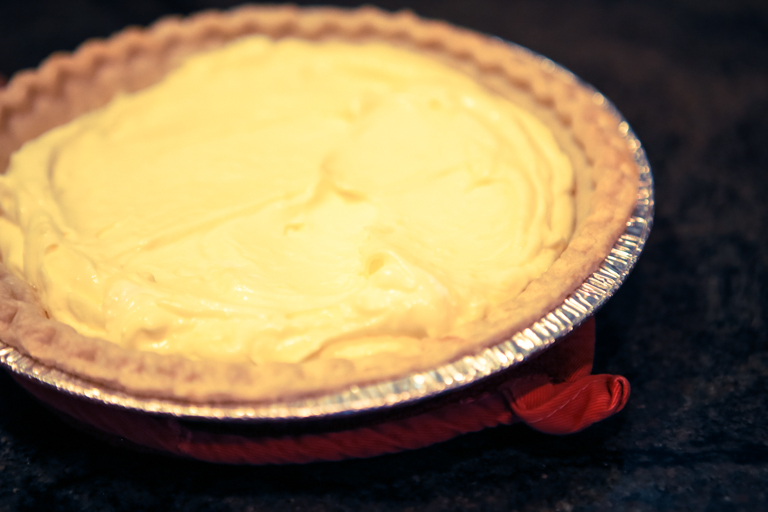 So – I did this LATE last night and have no one to test the pie. I am going to take it to work and update the post later! I am going to take it to work and make my CO-workers partake. I hope I don’t kill them! I know – I AM SUCH a procrastinator! 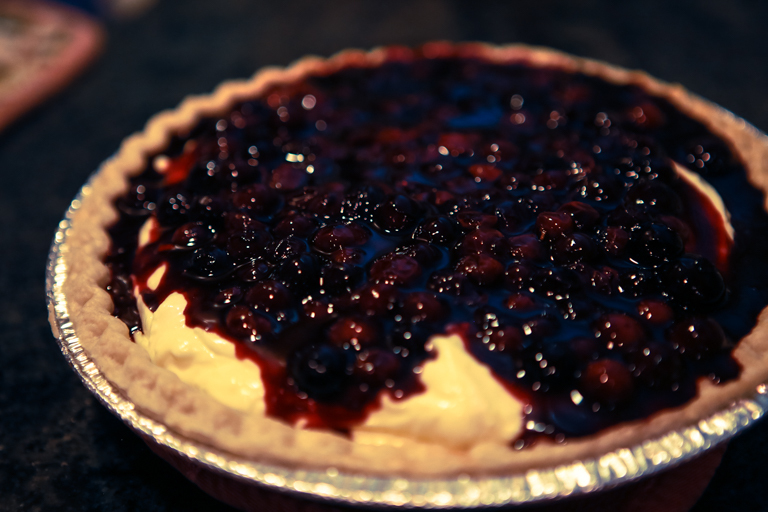 Don’t forget to come back and check how this pie came out! There will be an update in this post TONIGHT! Holly : Your pie ROCKS! Ali : Can definitely taste the lemon – more than the blueberry. It’s good but overwhelming. 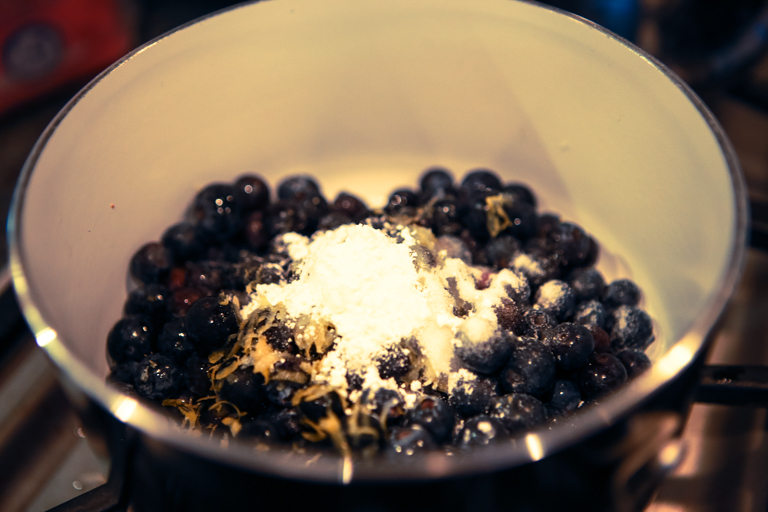 It’s more custard with blueberries. Justine : Exactly what she said. A little too mushy for my taste. 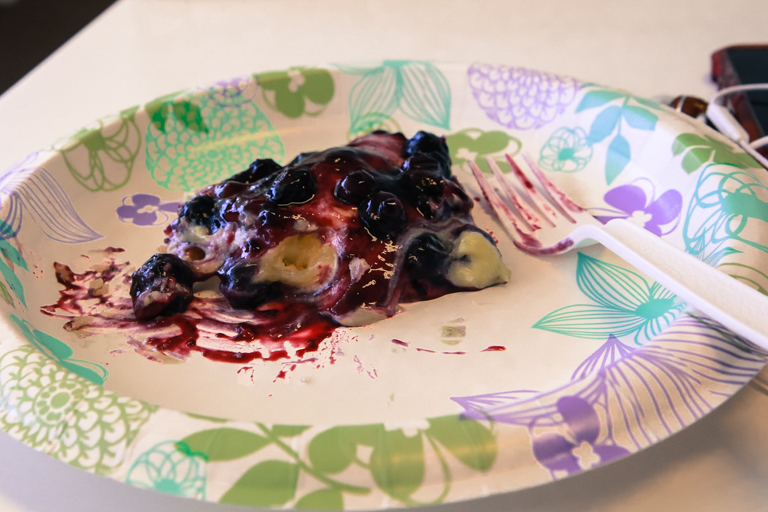 Lori : I liked it – it was very Jello-tastic! Gretchen : It tastes really familiar. . . I can taste the vanilla. It would be good with a cheesecake base. A little thicker and not so pudding like. Talia : It had a weird aftertaste. You can taste the fakeness! The Verdict: I agree it would be better without the crust and just served as a custard. It did not hold its shape well when cut. I may have used a little too much lemon in the sauce and I used fresh blueberries. Frozen may have had a more concentrated flavor. With all that and the reviews being said the general consensus was it was a nice cool treat on a really hot afternoon. It took less than 15 minutes to make and used very easy ingredients. I would totally recommend this for a festive BBQ – especially for someone who doesn’t bake a lot. Thanks so much lady friends for helping me! You are the best! 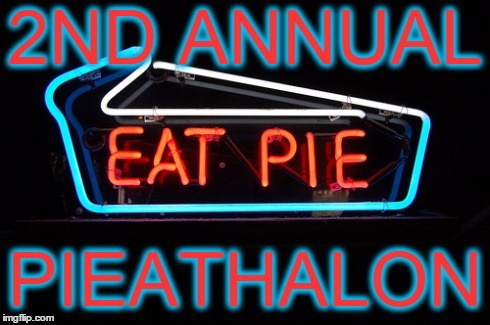 Please check out my fellow Pie-a-thon mates below! Recipe swaps are my favorite! The Velveteen Lounge Kitsch-en experimented with Swiss Pie With Hot Dogs! Our old friend Dr. Bobb of Dr. Bobb’s Kitschen brings us Mincey Peach Pie!